Hello I'm Anne Scholes. 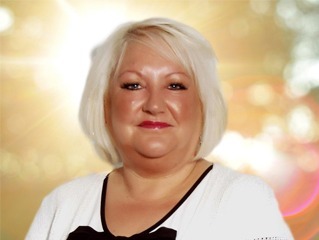 I have been providing psychic readings for over 10 years, and would describe myself as empathic and uplifting. My preferred readings are based on love and relationships, as well as readings surrounding your career and work life. I can guide you by providing a down-to-earth, quick and direct reading. I'm always friendly and when you approach me for a reading for the first time, I will explain how I work, and what tools I use. I will then do what I can to ensure that you are completely relaxed, before using my cards and my guides to try to look back at past events, and then slowly moving forward to the present day and into the future. The main tools that I use are my cards, and whilst the reading is in progress, I will do my best to give any insight that comes to me, which are relevant to the reading. I feel that I am able to link in directly with the cards. The card spreads that I use are unique for every caller, making your reading with me unique. I first realised that I was psychic during a reading of my own, before later going to an open circle, where I was asked to sit in a development circle. I haven't looked back since. Just had a brilliant detailed reading from Anne - she was very insightful about situations around me, so much so twice I said I felt she was able to remote view my mind as well as my life! Thanks Anne - will keep you posted. Anne is the best with work readings. Get 15 minutes to speak to Anne Scholes for just £4.99 (that’s a value of £22.50! )..